Item # 308356 Stash Points: 7,495 (?) This is the number of points you get in The Zumiez Stash for purchasing this item. Stash points are redeemable for exclusive rewards only available to Zumiez Stash members. To redeem your points check out the rewards catalog on thestash.zumiez.com. 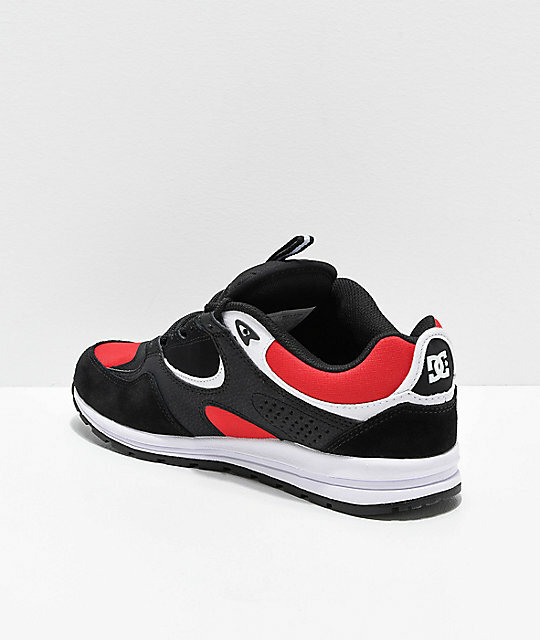 For a comfortable pair of running shoes, or just running shoe level comfort, grab the DC Kalis Lite Black & Athletic Red Shoes. 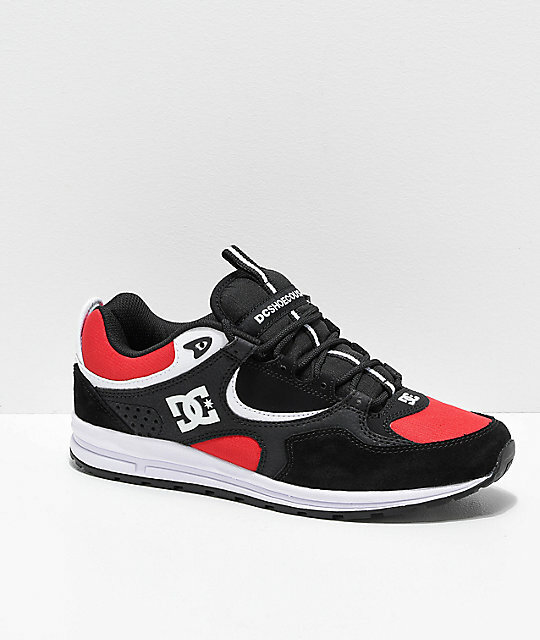 Black and red throughout for clean contrast, these shoes have classic DC logos at the sides and tongue for classic branding and style. A runner inspired cupsole adds impact support and cushion, while a padded tongue and collar provide much of the same. 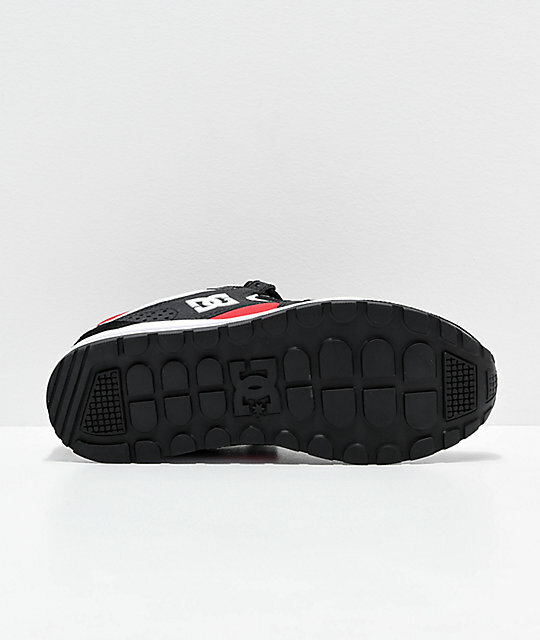 Finished with a breathable mesh lined interior, these shoes remain comfortable through hot temperatures or athletic activity with ease. 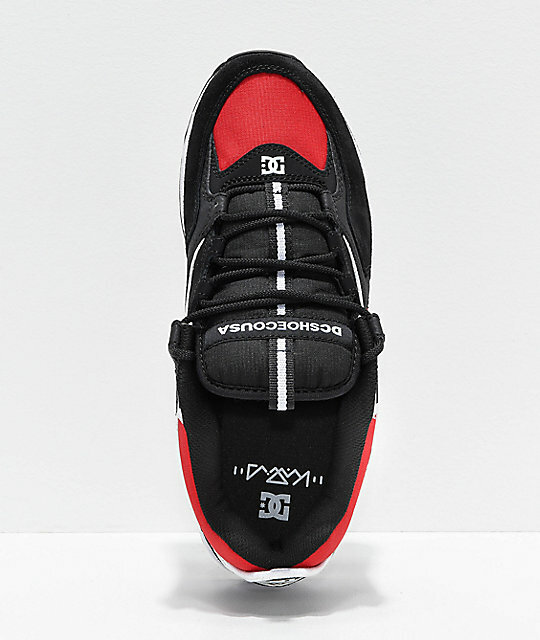 Kalis Lite Black & Athletic Red Shoes from DC. Signature Josh Kalis and Manolo Robles pro model.